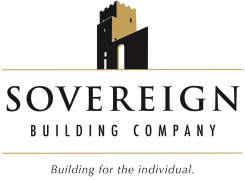 Sovereign is a young, vibrant, energetic, passionate and hard working company with a dedication to the craft of building proving as the basis of a solid reputation within the industry. We have the capacity to design and construct all types of homes, including concept homes, along with custom / individual designed homes and grouped dwellings. Sovereign can accommodate all types of budgets with client service and satisfaction as a prerequisite. We take pride in all our endeavours producing quality homes according to clients needs, wants and budgets. You have direct dealings with the company’s Directors and the assurance of reliable suppliers and subcontrators. Coupled with fast and reliable building times, Sovereign has the edge of youth and all its associated vibrance and energy within the industry, providing you with a balance of experience and dedication to serving the enviable principle of providing a job well done.